South Carolina has the highest rural road fatality rate in the nation. 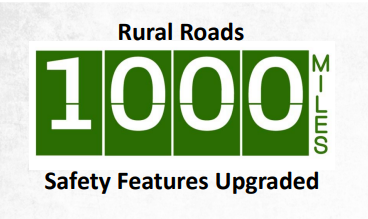 As such, the new program uses targeted data to identify and implement needed safety features on 1,000 miles of the state’s deadliest roads. DOT plans to replace 465 bridges over the next ten years, many of which are load-restricted and cannot be used by school buses or larger trucks. 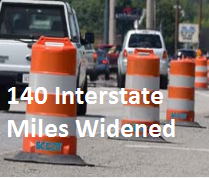 Using a “Fix it First” approach, SCDOT is currently working to improve 140 miles of existing interstate highways. As the revenue grows, the agency will be able to address additional miles. The department aims to double the resurfacing program. 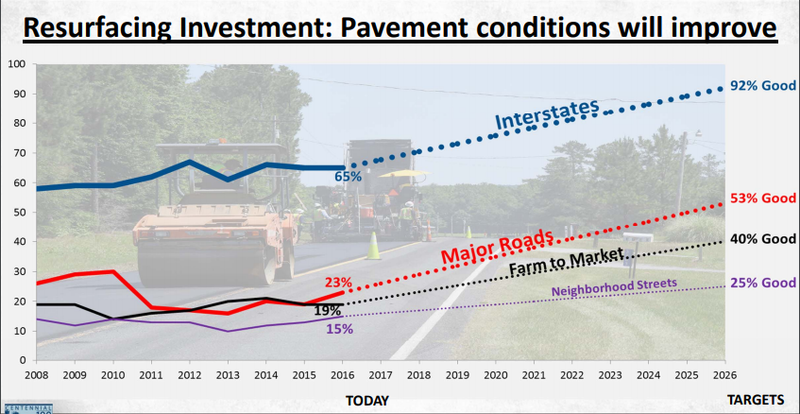 SCDOT aims to improve poor pavement conditions and eradicate countless potholes on interstates as well as the major routes that connect our cities, towns, and secondary roads. 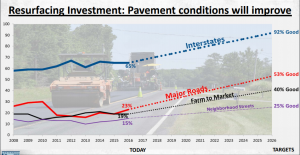 Learn more about the SCDOT’s 10-year plan.